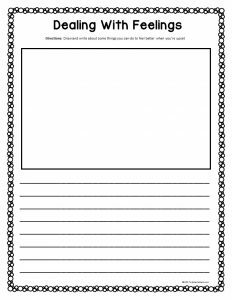 Journal writing is a therapeutic technique often used to encourage self-expression through reflective writing. Experts suggest that when you write down your thoughts and feelings, it helps you to work through negative emotions. Additionally, journal writing helps you to be more self-aware and in tune with your feelings. 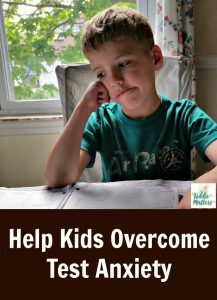 You gain insight into your mood and behaviors when you keep a journal.This makes journal writing particularly useful for kids because children sometimes struggle with understanding and expressing their feelings. Some kids keep their feelings to themselves because they don’t feel comfortable saying them out loud. They fear being ridiculed or believe that their thoughts and feelings aren’t important enough to share openly. Journal writing gives kids a judgment free space to self-explore and find their creative voice. They can use their journal as a place to dream and set goals. 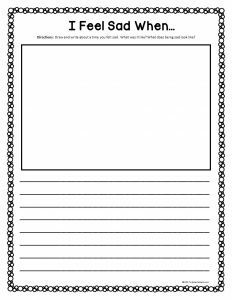 They can also use journal writing to find solutions to internal conflicts and solve problems. There are no rules on how to keep a journal. Some children prefer to free write, while others like to follow journal writing prompts. The key is that children view their journal as a safe space to write their thoughts and feelings. 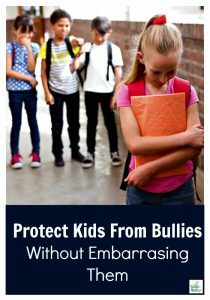 When children trust that keeping a journal is safe, they feel more comfortable expressing their authentic selves through journal writing. Guided journals, such as this Feelings Journal, are perfect for reluctant writers because they get specific topics to write about. 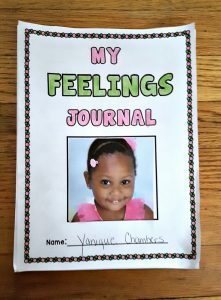 In this feelings guided journal, children are prompted to write about different feelings and how they experience them. Here are a few sample pages from the Feelings Journal. 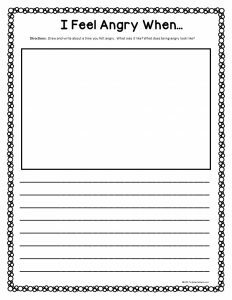 These journal writing prompts encourage kids to stop and think about how they are really feeling. 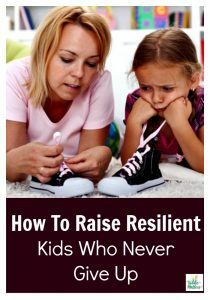 Emotions can be overwhelming even for the most well-adjusted children. 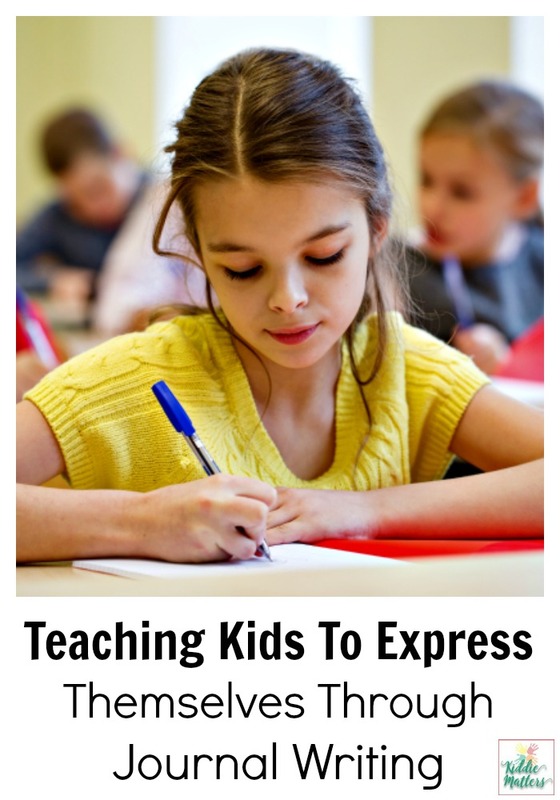 Writing about them can give kids clarity and a deeper understanding of their feelings. This Feelings Journal allows kids to explore their feelings in creative ways. 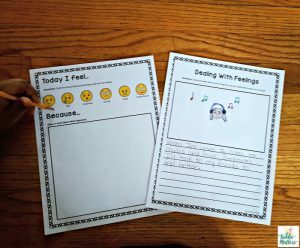 For example, the following handouts from the Feelings Journal get kids to think about ways to cope with their feelings and also how to explore their feelings through music and free writing. Keeping a journal has many benefits and we should encourage children to start one. If they aren’t into the whole writing thing, don’t force it on them. Some kids have had bad writing experiences and might view journaling as just another opportunity to fail at writing. Make it clear to these kids that you won’t critique or correct what they write in their journal. Hearing this usually takes the pressure off some kids and they become more open to journaling. As an added bonus, research shows that reluctant writers gain confidence in their writing skills the more they journal! 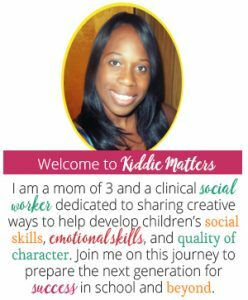 Do your kids journal? Did you see any benefits from them keeping a journal?